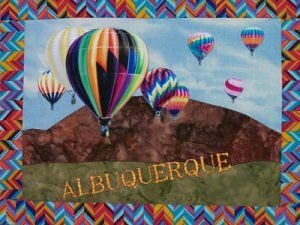 An all fabric, fussy cut miniature wallhanging kit depicting a postcard type look of Albuquerque as the Hot Air Balloon capital of the world. 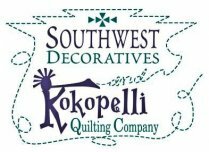 Use your embroidery machine and gold variegated thread to "print" the title. Finished size, 9" x 12".